• The same skills you use to understand prose you use to understand poetry. • Poetry is intended for the ear as well as for the eye. 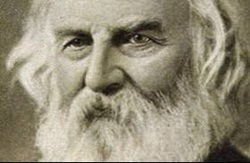 – Not until you are able to read aloud can you really appreciate all that poetry has to offer. 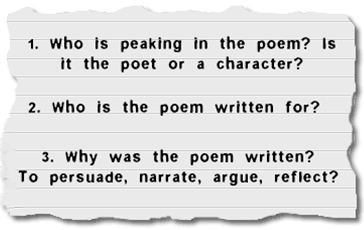 Characteristics of poetry such as figures of speech, sensory imagery, rhythm, and rhyme become more forceful when they are heard. This is why poetry should be read out loud. But How Should it be Read? Poetry should be read aloud in a way that brings out the meaning and feeling intended by the poet. Look at the next four poems we are covering. Before you can effectively read any one of these poems aloud, you must know what mood the poet intended and what the lines mean. In other words, you have to know what the poet is talking about. Your voice must reflect what is appropriate to the meaning of the words. As you study a poem, take time to read it aloud. • And a little practice will allow you to communicate the meaning. • Definition: The arrangement of stressed and unstressed syllables in speech and writing. We stress, or place emphasis on words in a sentence in order to convey the meaning. Words also have stressed and unstressed syllables, meaning we pronounce them a certain way by emphasizing certain sounds. 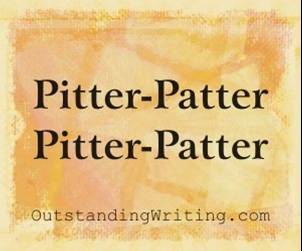 When these stressed and unstressed syllables are arranged to create a pattern in poetry, it makes a distinct rhythm. We mark the stressed and unstressed syllables, and then name the rhythm based on the pattern it follows. A combination of an unstressed and stressed syllable makes up a foot. So if there are 10 syllables in a line, there are five feet. 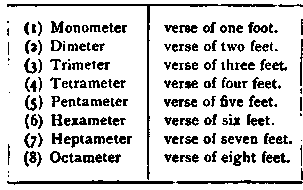 Iambic Pentameter is a very common meter. What it means is that the pattern of emphasized syllables is: unstressed stressed. And each line has 5 feet, or 10 syllables. Here are some examples below. 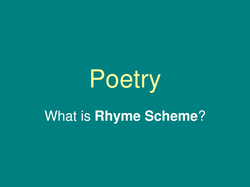 – One may describe a rhyme scheme by representing sounds at ends of lines with letters of the alphabet. 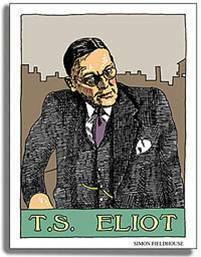 T. S. Eliot has long been famous for complex, highly symbolic poetry concerned with the human condition in twentieth-century society. Who would write a book of rhythmical poems about cats? • Not the T. S. Eliot whose poetry stirred so much controversy, filled as it was with the pessimistic frustration and the spiritual shallowness her perceived in modern people. But “The Ad-dressing of Cats” shows his lighter side. 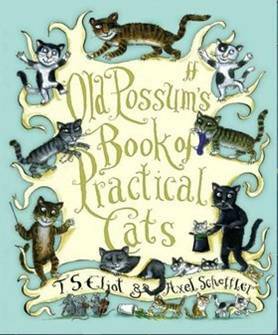 • Because it is the last in the series of fifteen whimsical cat poems that make up Old Possum’s Book of Practical Cats, the poem begins with the speaker reminding the reader that he or she has already read about several cats. • She spends her nights trying to teach good manners and household dills to mice and cockroaches. • She spends her days simply sitting. Growltiger lives the exciting life of a ship’s cat. • He gets into hair-raising adventures everywhere he goes. Skimbleshanks runs a passenger train practically single handedly. The poem illustrates skillful use of regular rhythm and rhyme. • There are four feet to a line. Eliot focuses on sound in his cat poems. • Why is the word addressing printed as Ad-dressing? • The images are chiefly visual and the language is literal, with the great exception of the personified cat. 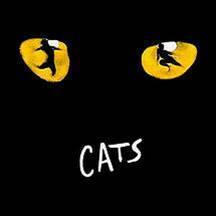 – What details tell us that the cats are personified? • A repetition of initial and stressed sounds at the beginning of words or in accented syllables. – Alliteration can be used to created melody, establish mood, call attention to certain words, and point up similarities and contrasts. • Definition: The repetition of vowel sounds followed by different consonant sounds in stressed words or syllables. • Definition: The repetition of identical consonant sounds that are preceded by different vowel sounds. Sara Teasdale said she wanted the reader of her poems “to feel and not think” while reading them, to have a response that was first and foremost, emotional. • What is mankind in danger of doing? 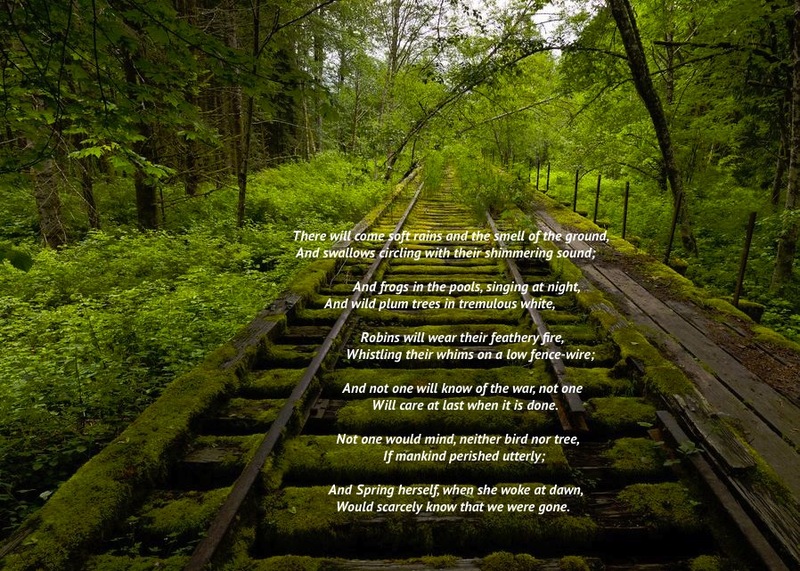 • According to the poem, what will the natural world be like without humans? • Point out examples of imagery. 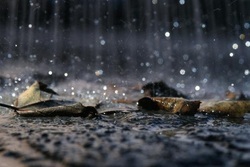 • The mood of the poem is one of quietness. • Find a word to describe its tone. – Do you agree wit the speaker’s attitude toward the place of human beings in the world? 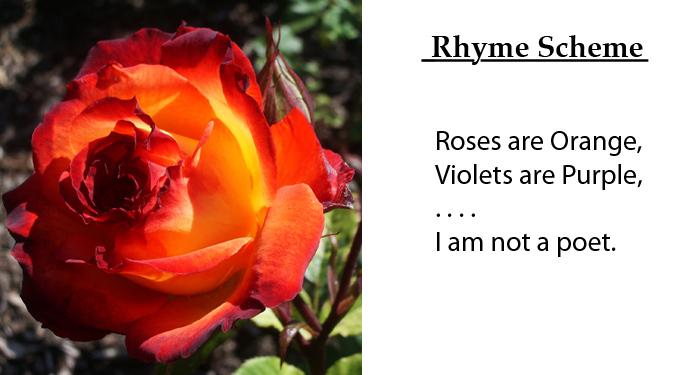 • What is the rhyme scheme of the poem? • How many stressed syllables does each line have? • Generally, the first stressed syllable in each line is the second or third one. But unlike “The Ad-dressing of Cats,” this poem has an exception. • What lines are the exception? 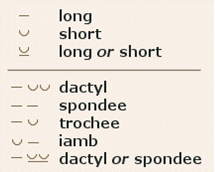 – Lines 5 & 6 begin with an accented syllable. – The reversal is for effect to cause the reader to take new account of the old rhythm as it begins again in lines 7 & 8. 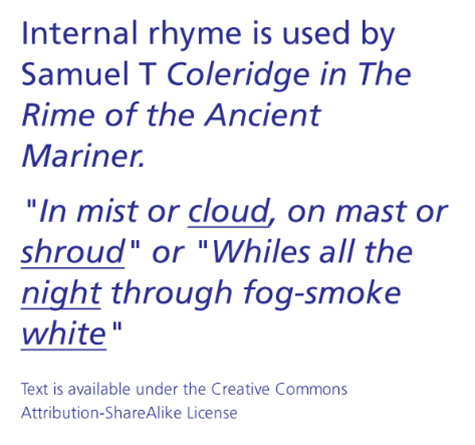 About the Poem from: Source: Poetry for Students, ©2013 Gale Cengage. All Rights Reserved. In 1950, noted science fiction writer Ray Bradbury published his popular collection of futuristic short stories called The Martian Chronicles. 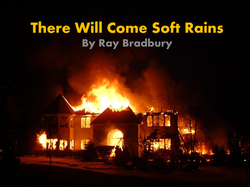 • That book contains a story called “There Will Come Soft Rains,” and it is not by accident that the title is the same as Sara Teasdale’s poem published in Flame and Shadow thirty years earlier, in 1920, by MacMillan. • He based his story on a theme similar to the poem’s, the senseless destruction of humankind by their own hands through war. – In the story, a talking house is left confused and devastated by the loss of its masters, who vanished in an atomic blast. – At one point, the house, lonely for its mistress, reads aloud one of the dead woman’s favorite poems—“There Will Come Soft Rains” by Sara Teasdale. Teasdale’s poem is a response to her disdain for and disillusionment over World War I. 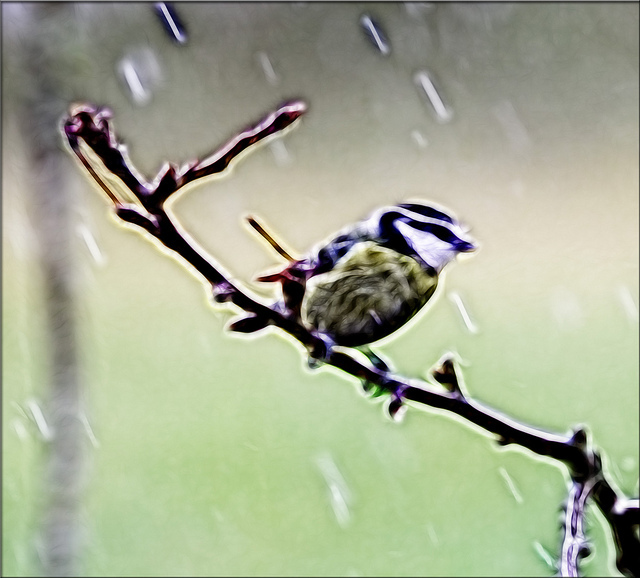 • Of birds and frogs and trees whose lives will go on even if human beings obliterate themselves from the planet. – It is interesting to note that in Bradbury’s short story based on the poem, nature and nonhuman objects do not fare quite as well, eventually succumbing to their own deaths without people around to support them. 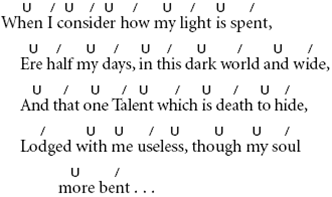 • Source: Poetry for Students, ©2013 Gale Cengage. All Rights Reserved. • He wrote on topics ranging from the sublime and profound to folklore and homely wisdom. 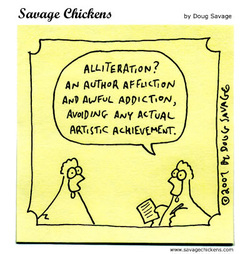 • Give other examples of alliteration. 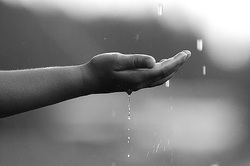 • What are the symptoms of this rainy day? • Stanza 2 is almost a duplicate of stanza 1, but there are important differences. For what are “the day,” “the vine,” and “dead leaves” metaphors? 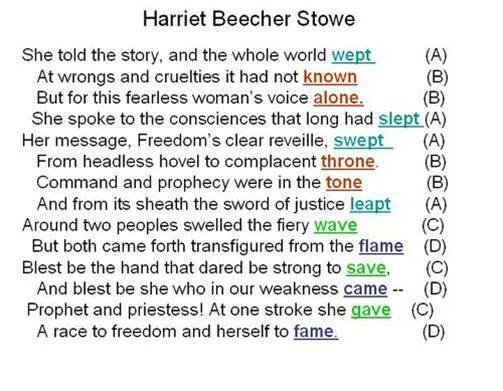 • How is the message in stanza 3 different from stanzas 1 and 2? Who is addressed? • Rephrase stanza 3, line for line. • Tell why you agree or disagree with line 14. • "The Bells" is a four-stanza lyric poem that first appeared in 1849 in the November issue of Sartain's Union Magazine of Literature and Art. • Poe is said to have sold the poem for $15. • The first book to publish the poem was said to be The Poetical Works of Edgar Allan Poe, printed in London in 1888 by John H. Ingram. 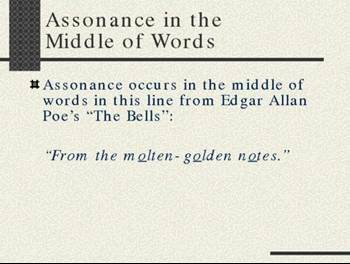 • Poe wrote an early, shorter version of "The Bells" while living in a cottage in the village of Fordham, now part of New York City but then outside the city limits. 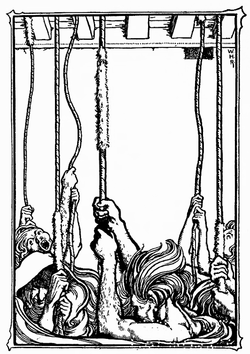 – Supposedly, she and Poe drew inspiration from bell ringing at nearby St. John's College, now Fordham University. – Poe often walked its campus, and he befriended the Jesuit priests who operated the college. – Some writers have suggested that another bell provided the inspiration–the bell at the Bleeker Street Presbyterian Church, for example, and that at St. Mark's in the Bowery. 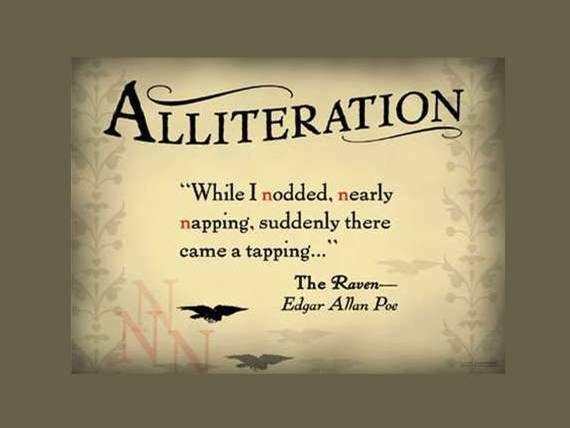 – In the end, though, it was the tintinnabulation of Poe's gray matter that he attempted to express in the poem. • Some critics regard the poem as masterly; other critics regard it as shallow and sing-song. Theme: Death ultimately triumphs over life (or, life is a journey toward death). • The bells ring joyfully in youth. – However, even as they ring, death lurks in the background. • For example, in Stanza 1, the narrator hears the tinkling sleigh bells at night (Line 5), meaning the darkness of death (night) is present at the beginning of life. • In Stanza 2, the bells ringing in celebration of the wedding resound "through the balmy air of night," meaning the darkness of death is present in young adulthood. • In Stanza 4, the bells ring "in the silence of the night," meaning death has triumphed over life. • In the first stanza, the bells keep time in a "Runic rhyme," a mysterious rhyme that pleases the ear. – Thus, the bells become death's accomplice, marking the passing of time–each second, hour, day, year–with beautiful sounds that continue until life ends and the king of the ghouls tolls the death knell (Stanza 4). – The ghouls, demons who feed on the flesh of the dead, are happy to welcome death's victims. – Their happiness mockingly echoes the joy expressed in the first stanza. 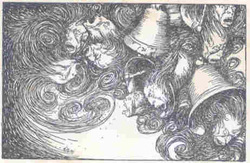 • Moreover, the bells that the ghoul tolls also peal with a "Runic rhyme," like the bells in Stanza 1. – That characteristic of the bells is the same one that celebrated youth and marriage in Stanzas 1 and 2. • young people are the future food of the ghouls. • And married people produce new youths. 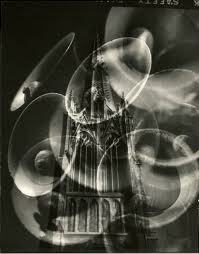 All the while, the bells keep time, counting each passing moment. 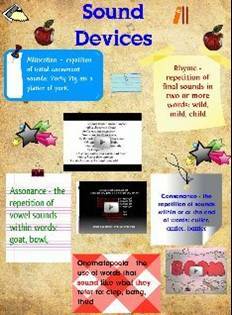 • Onomatopoeia and alliteration occur throughout the poem, helping to support the musicality of the poem. – Onomatopoeia, a figure of speech in which a word imitates a sound, occurs in such words as tinkling, jingling, chiming, shriek, twanging, clanging, and clang. – Alliteration, in which words repeat consonant sounds, occurs in such groups as "bells, bells, bells" and "tinkle, tinkle, tinkle." • This makes her a different from the stoic New England characteristics of other poetry being written during her time. Her work is more like Robert Frost, who came a century later. 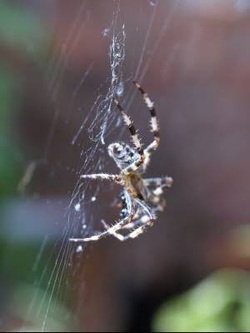 "The Spider Holds a Silver Ball"